Here is how I made the Man in the Yellow Hat’s well…hat. First, I measured Tater’s head circumference. Then I used this handy calculator to figure out the radius for that circumference. I bought a yard of buckram, which is usually near the canvas and/or interfacing. 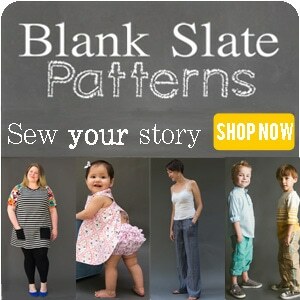 If you can’t find it at your local big box fabric store, ask. It’s a material stiffened with some kind of additive. Which also means you shouldn’t wash it. You can iron it a little, but not with steam. I used a pencil, chalk and measuring tape and the measurement of my radius to draw the inner circle of my hat, then decided how wide I wanted the brim from there and drew the outer circle. 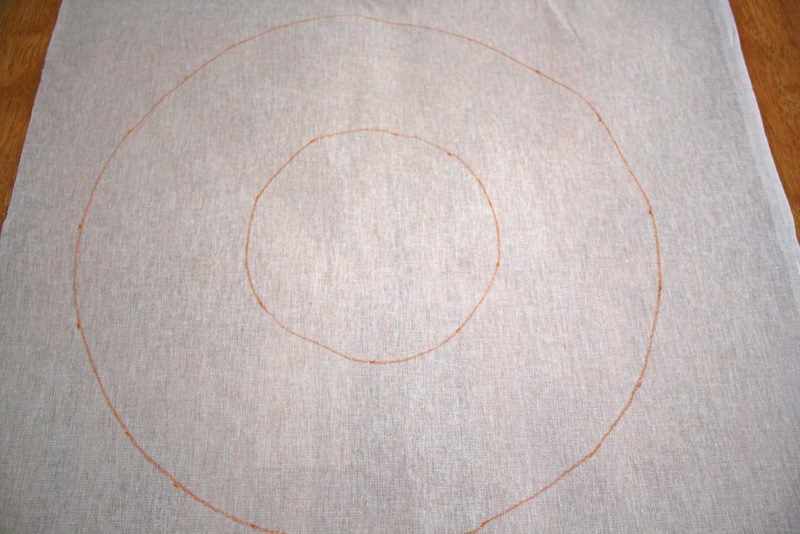 Then folded the buckram in half to cut out two circles, EXCEPT I left 1/2 in for seam allowance inside the inner circle. 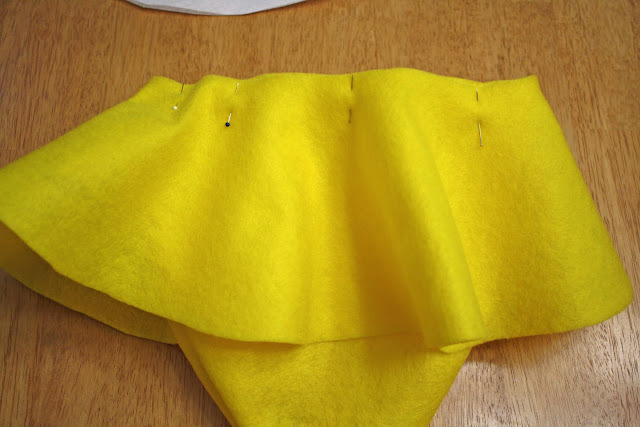 I used one of these as pattern to cut out two circles of felt as well, EXCEPT I cut the outer edge of the felt 1/2″ wider for seam allowance. Then I did the dome of the hat. 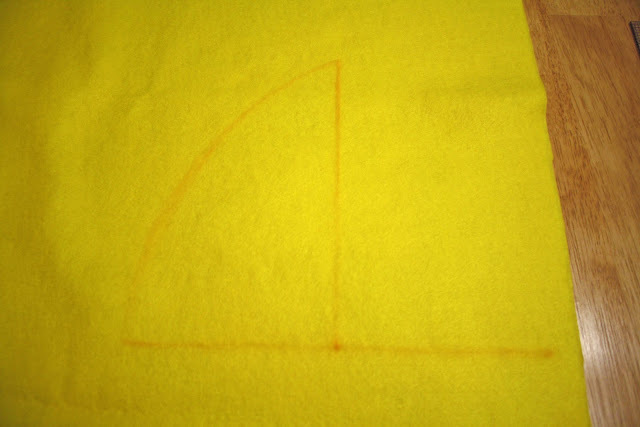 I divided the circumference of Tater’s head by 2 and added 1 inch, and then drew that line horizontally on the felt. Then I eyeballed how high I wanted the hat and drew a vertical line. I freehanded an arc between the two. 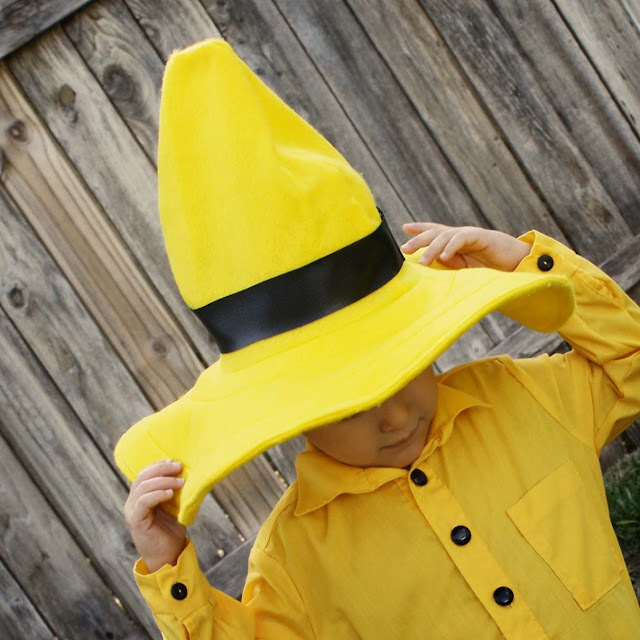 If you wanted a witch or wizard type hat, you wouldn’t arc this line. I cut out two of the dome pieces. I sewed the dome along the two curved edges with 1/2″ seams and turned it right side out. 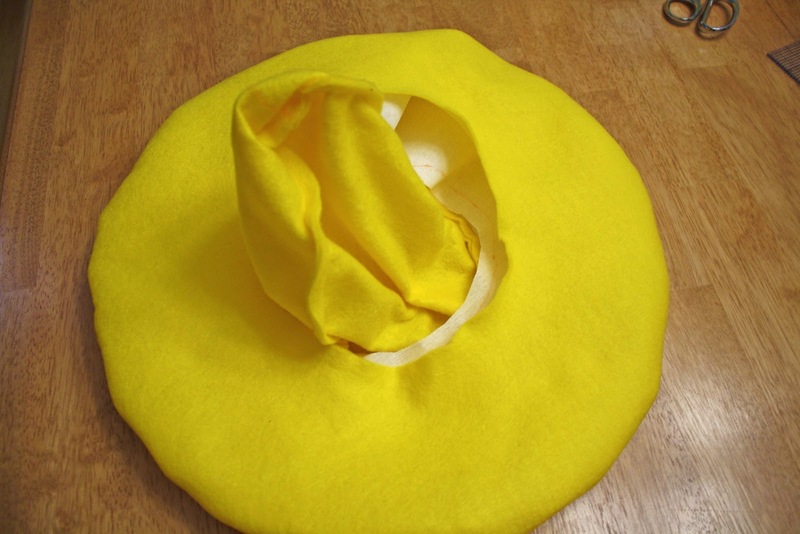 Then I pinned one of the felt brims on like this and sewed around the brim. 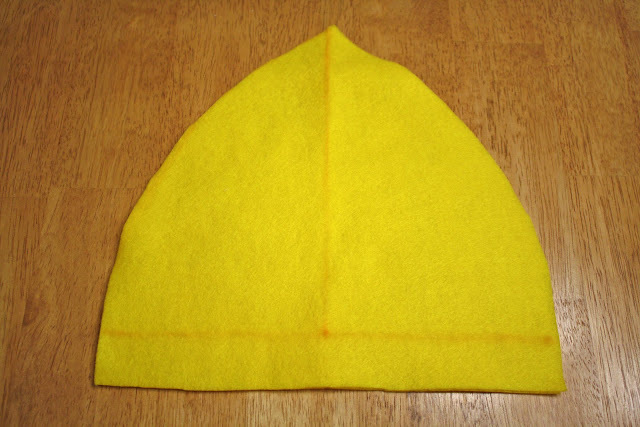 After that was sewn, I set the whole thing on the table, and added the second brim on top of the first, just slipping it over the dome and sewed around the outside edge only (sorry, no picture, but you can get the idea because it’s the same thing I did with the buckram in the picture below). Then I turned the dome inside out, sat it on the table again and placed the two layers of buckram over the dome. 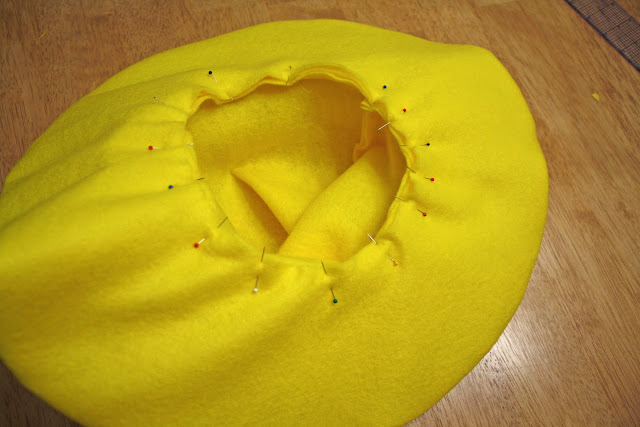 In the picture below, the felt brim that is attached to the dome is directly under the buckram, and the brim that is only attached at the edge is on the bottom of everything. Now turn the dome right side out again, and pinch the loose felt brim to the seam allowance from the attached felt brim, so they sandwich the buckram without it peaking out. Buckram is itchy, you don’t want it to rub on your wearer’s head. 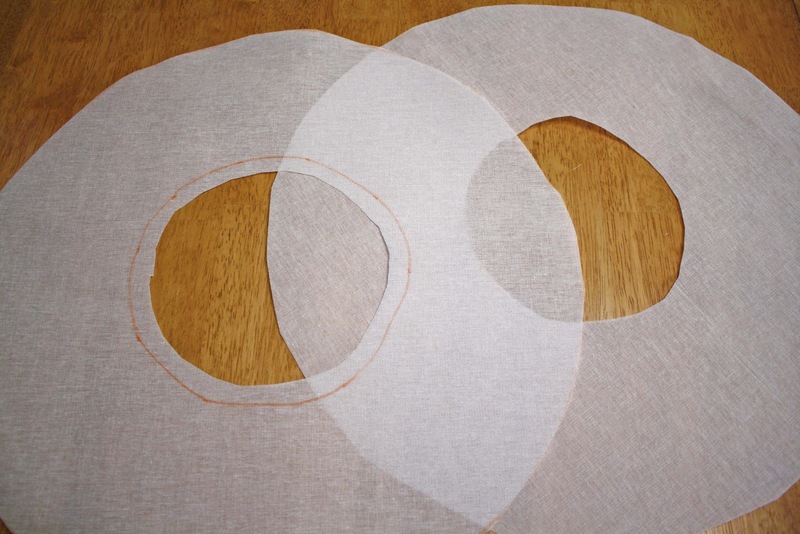 Sew these together as pinned to attach the brim to the rest of the hat and keep that buckram inside. 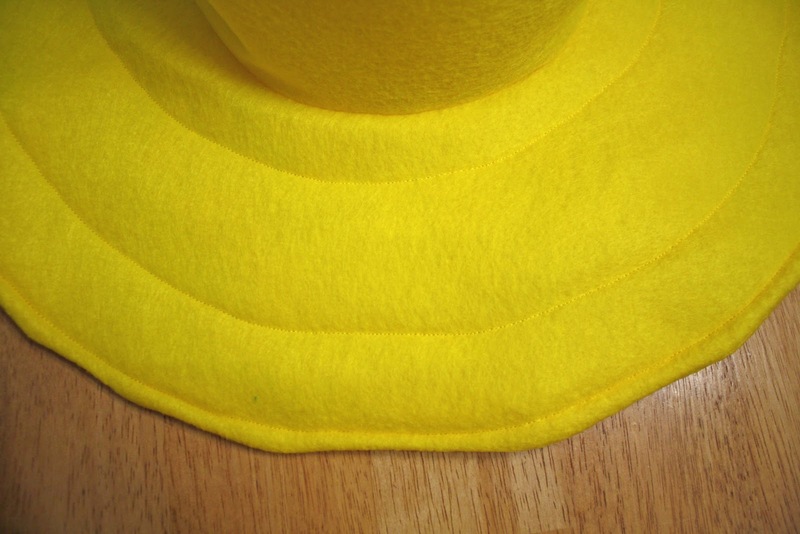 For good measure, sew a few lines through all layers of the brim to keep any of them from shifting. 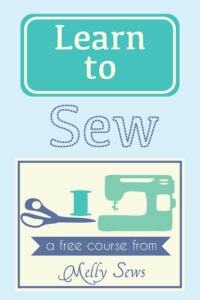 How many you sew is up to you. I did three. One of yours should be pretty close to the brim’s outer edge. 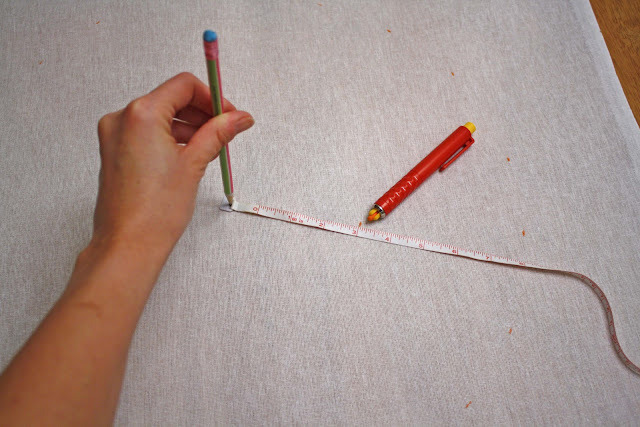 Add a ribbon band if you want (remember that circumference measurement? Add about 1/2″ to it plus seam allowances) and then put that puppy on someone’s head! awwww… this is so darling. wonderful job!!! thanks so much!! where did you find his pants?? Love it!! Curious George is so much fun. Thanks for the clear tutorial. I became one of your followers to keep up on your other great ideas. 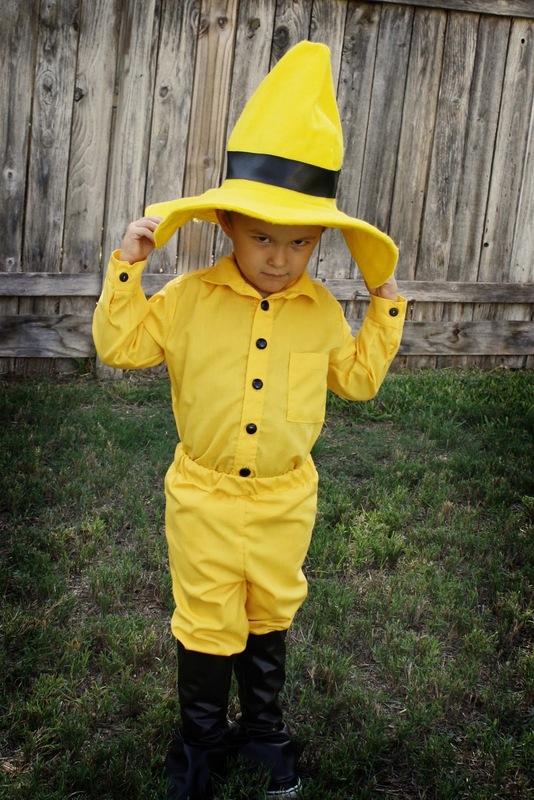 That adorable costume is only outdone by that sweet little face! What a heartbreaker! Way to go, Mom! too cute! I made one of these for myself last halloween. 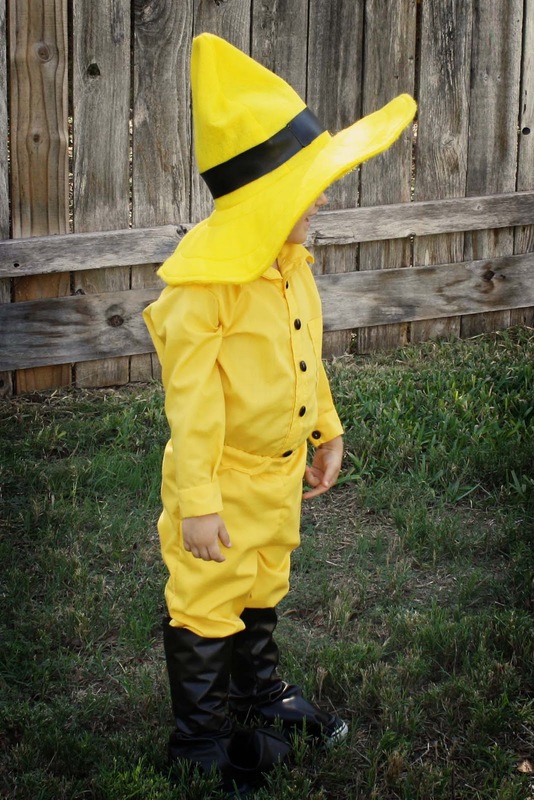 I was the man in the yellow hat and my son was Curious George dressed up like a monster! Completely his request! Anyway, your hat looks much better than mine did!! Any chance you would make one for my son and I could but it off of you? 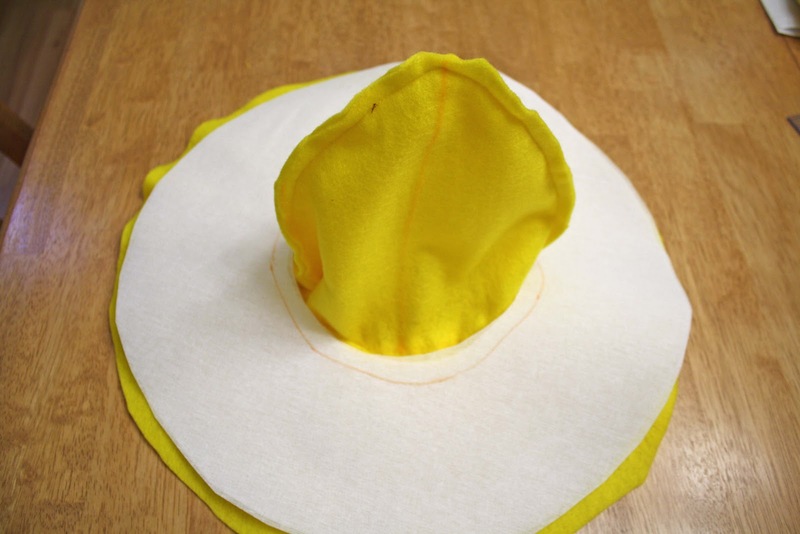 Using same pattern and black felt, make the cap of the hat lower and then fasten the front and back sides together and you have a pirate hat! 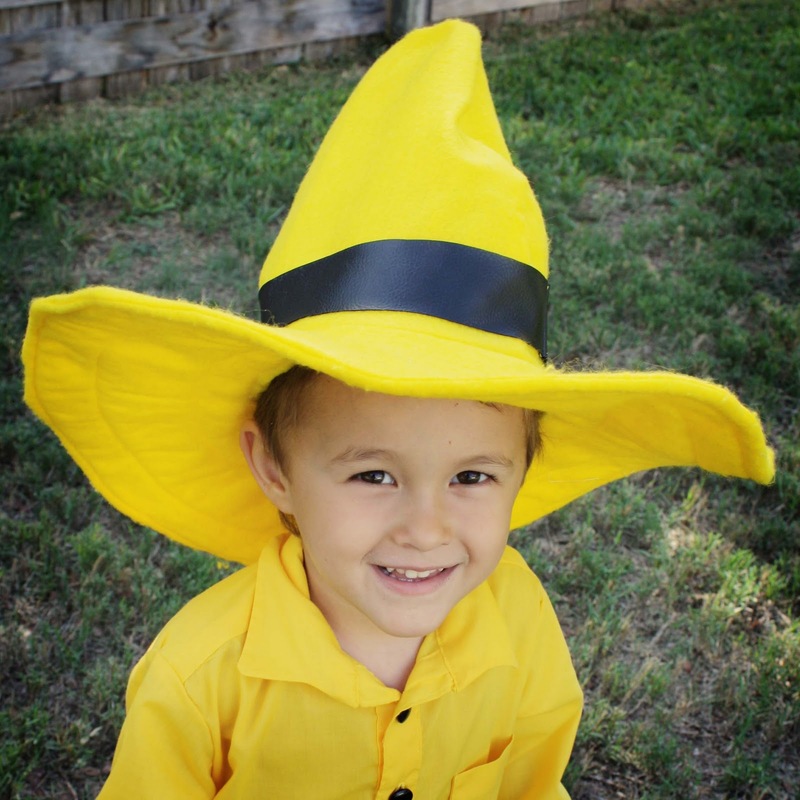 Love the Yellow Hat!